This past summer I had the privilege of attending a nation-wide Christian conference called the National College Training. 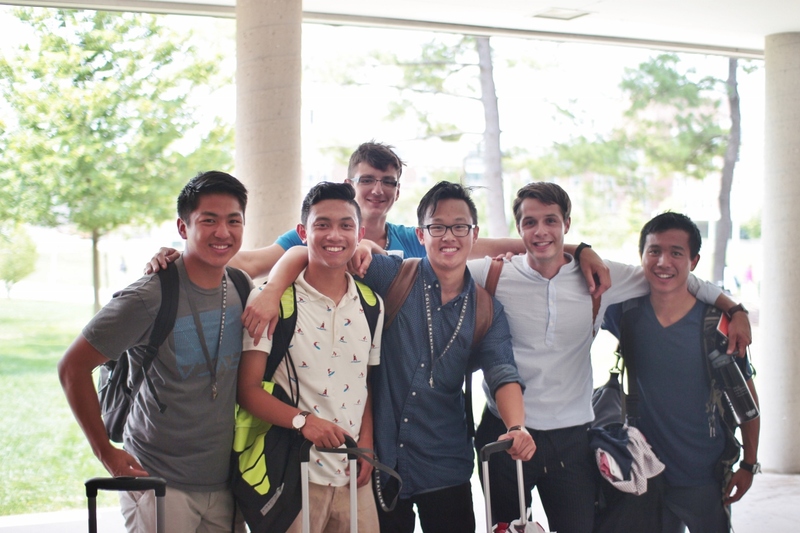 Every summer, these college trainings are held, usually in different regions of the country; but the Lord is doing something special in the college students around the world! Therefore this summer was the first time that college students from around the country and around the world all came together for a one-week conference to pursue the Lord together and the learn more of what the Lord is doing on this earth and on our college campuses. There were over 1,400 college students from 33 countries, from every continent on earth, 39 U.S.states, and 325 campuses. Needless to say, this was one amazing week, one that changed the lives of all those who attended. The college training took place in Champaign, Illinois at the University of Illinois, Urbana-Champaign. Flying from Irvine to Champaign was always an option, but a group of students from our club thought that the time would be even more enjoyable if we took a road-trip; so we did! Along the trip, we stopped in cities such as Albuquerque, Oklahoma City, Memphis, Lubbock, and Tucson. In these cities, we not only had time to see some of the city’s highlights, but we visited other Christian believers in their cities and enjoyed fellowship in their homes with their families. As a club, we love to read the Bible and to fellowship over the Word of God and with other believers, and so this was such a great opportunity to do so! As a Christian who grew up in Southern California and has hardly traveled out of it, I was more than excited to be able to road-trip across the US with my brothers and sisters in Christ, especially as we looked forward to the college training that awaited us in Champaign. The 4-day drive consisted of listening to songs, creating our own songs, memorizing verses that were going to be covered at the conference, stopping and eating together, but most of all enjoying our time with one another! It was one of my best experiences this summer! Not only was the road-trip memorable, but the week long conference was quite wonderful! Being surrounded by 1.400 college students who love the Lord and are willing to serve Him in the midst of our crippling society, was more than encouraging. The environment was so rich, so high, and so encouraging! There was no other place I’d rather be. A verse that I really took away from the whole week was Psalm 110:3 “Your people will offer themselves willingly/ In the day of Your warfare/ In the splendor of their consecration/ Your young men will be to You/ Like the dew from the womb of the dawn.” I think this verse meant so much to me because I never was very willing to let the Lord really do anything in me or my life, when I was growing up, and even sometimes now. But I saw that the Lord simply desires one who is willing to love Him and serve Him. I really believe that the Lord gained many willing young people during this week in Champaign.